As The City Rumbles Underneath are a duo from the USA, that bring a new heavy beats, graceful soft ballads and fantastic edge with their Shoegazing sounds. Having a mixture of upbeat tracks and ballads it shows they have fantastic vocals and you can understand the lyrics more in each of the tracks. Flowers From The Stars EP starts off with an upbeat track ‘Heart Expire ‘ with the soft vocals from Cat, giving a great feel to the rest of the tracks. If i was to listen to this id be in my room whilst being online, it’s a calm and relaxed EP! 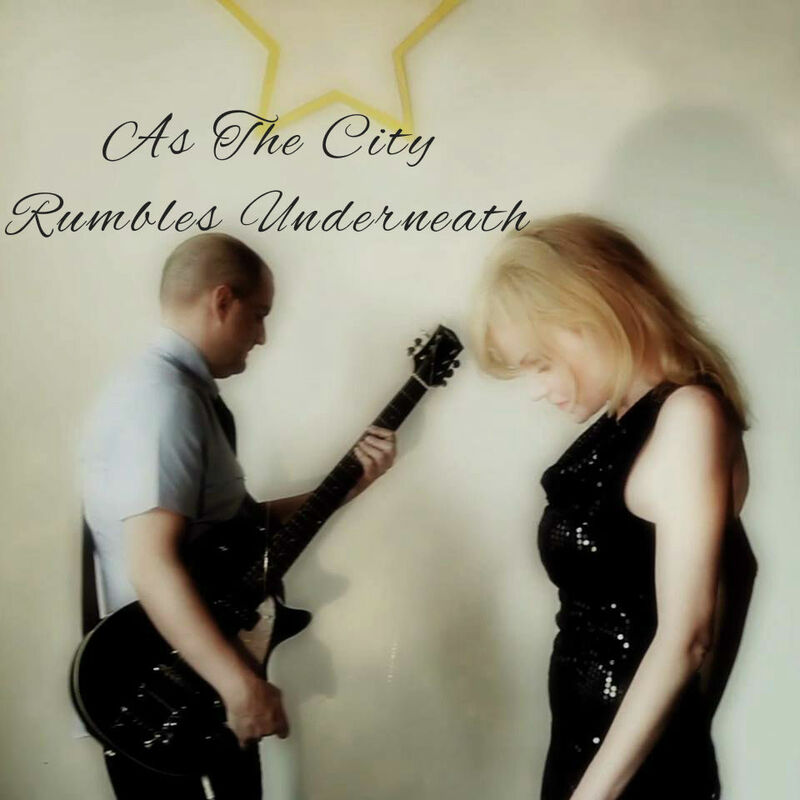 Make sure you are giving this a listen to and follow ‘As The City Rumbles Underneath’ . This entry was posted in Uncategorized and tagged As The City Rumbles Underneath, Flowers From The Stars, Review. Bookmark the permalink. 1InFive Released their DEBUT EP a few weeks back but im going to review it now!!!! 1InFive are 4 Piece Band from Brighton, releasing their latest EP ‘Hold On’. This is a EP what shows who the boys really are, A unique Rock band with great vocals are great and the dark smooth guitar strums and fantastic beat of the drums sets the 4 track EP. You could just listen to the first track and you will be hooked! which I think sets the EP very well. ‘Black Lake’ carries on with the powerful voices and fantastic use of the guitar and drums once again. Listening to the whole EP would be a lot better for you because me writing it down won’t let you hear their great voices and fantastic written songs so make sure you go check it out! A great time to have this on repeat is when you are at a BBQ in the sun in the garden and just having Lots of fun! Get the EP and you can be sure to hear a lot more of 1InFive! This entry was posted in Uncategorized and tagged 1InFive, Ep, Hold On, Review. Bookmark the permalink. The Bedroom Hour are a 5 Piece from London, Spreading their Love for Music around throughout the UK! GET TO KNOW THE BEDROOM HOUR! What are your Full names and ages (you don’t have to answer if you don’t want to for ages)? We make music to soundtrack the universes expansion into the unknown. We come from West London and we are probably the most normal bunch you could meet but when we come together as a group we create some of the best soundscapes known to humankind. When you join the band you have to undergo an initiation whereby you are forced to spend an hour in the room above our studio where they used to make ‘specialist’ movies, so it comes from that. Only joking, Rob had an idea to record an ep in his room and call it the bedroom hour, so we ripped it from there! We write as a band, usually writing our own parts but taking on ideas from one another. Stu is the vocalist, Lewis plays drums, Rob plays guitar, Mark plays keys and Andy plays bass. See above! Lew and Andy also play guitar, Rob also plays bass. Through music really. Most of our paths crossed through being in one band or another locally. We all have normal, mundane day jobs. We don’t talk about them, even to each other. Our jobs don’t define or fulfil us as people! Music has always been a big part of all of our lives, both as fans and also as musicians. We’ve all been in bands prior to the bedroom hour and I think it’s that experience that makes this band so exciting to be a part of right now. We’ve just released our album, Hinterland, so we’re now writing new songs. They sound great to me. Watch this space! We spark off each other really well and that often gives us a kick to get a song going. Headlining Glastonbury after a successful world tour. Personally, I’d really like to do a tour abroad somewhere. We love meeting new people at our shows, so to take that to another country and different culture would be amazing. It’d have to be someone who could put up with us! I think a female vocalist would be an interesting addition to the mix, maybe a little duet or something. We would all be doing our day jobs, getting a beer in with our mates, going to gigs and wishing it was us playing. And we have a whole lotta fan run pages cropping up all over the world under the bedroom army banner. Please drop us a line, we love engaging with people and are very proud to say we’ve made a lot of real friends through this band. This entry was posted in Uncategorized and tagged Band, Interview, The Bedroom Hour. Bookmark the permalink. Risa Hall is a New York City Born Singer/Songwriter but NOW Living in Manchester UK! From New York City to Manchester UK, Risa Hall is a Singer/Songwriter Ready to storm the music industry. 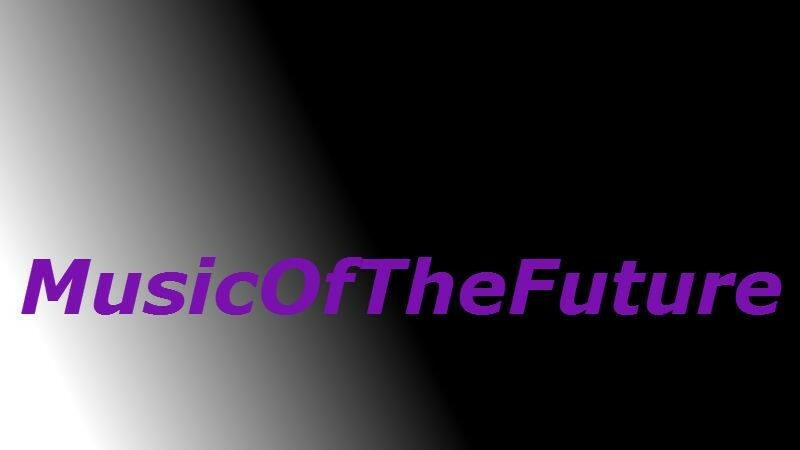 What is your genre of music? I love all kinds of music so I don’t specifically write in one genre. There is a combination of pop, soul, jazz, folk and ambient in my music. It all depends on how I feel that particular day I am writing and what I’m inspired by at the time. Give a Little Bio of yourself. I was born in NY and grew up in Forest Hills, Queens where I was a music addict. From the age of five I always wanted to be a singer and then by nine be a songwriter, but my path changed and I got involved in acting appearing in shows like the Broadway cast of Grease and the National Tour of Cat on a Hot Tin Roof. I also became quite a working voice over with my voice acting in television, films and radio. I took time out to have three kids and finish University and a PGCE in Drama. It wasn’t until about eight years ago that I became inspired again by my first ambition after seeing KT Tunstall, Martha Wainwright, Nerina Pallot (as well as hearing Sheila Nicholls) did I decide to pick up my ‘dusty’ guitar and start to write some songs again. I never wrote with the intention of being the ‘next big thing’. My aims and goals were always to do good, quality work and write songs people will like (and hopefully purchase). I love recording and gigging and feel lucky to be out there doing it. How long have you been doing music? I started doing open mics and some support slots about eight years ago, but have been involved in music all my life. I even worked at Polydor Records in New York for a while. At first we did alot of free gigs and open mics, but now we get paid, fed and watered which is alot nicer 🙂 I will always do something for charity. I used to watch music programmes as a kid and always know that I wanted to do what they do. I love Tata Vega, Lisa Fischer, Darlene Love, Merry Clayton and Judith Hill as they have worked in music all their lives from teenagers onward. Their story is depicted in 20 Feet from Stardom. What awesome artists and that is a documentary all singers should watch if they haven’t. I was inspired by the British Invasion and still love Steve Winwood, the Stones, Beatles, etc. I come from a house of musicians- my mom plays piano, my stepdad is a trumpet player and my brother is a bassist. I know it sounds like a cliche, but music is my everything. Are you a Signed Artist? I signed with a label in Australia for the release of my album Glass Half? Which became Second Chance when it was re-issued. I seemed to be doing all my own publicity and grafting and in the end it didn’t work out. I am happy to be independent again and have control of my music and live work. Who are your influences? Sooo many. Steve Winwood, Ray Davies, Todd Rundgren, Nerina Pallot, Lissie, KT Tunstall, and all the Brill Building writers like Carole King and Leiber and Stoller, Phil Spector, Laura Nyro. I tried to re-create that kind of sound in my New York Nights EP. That sound is so vibrant. Really love all the 60’s stuff, especially Motown, Hendrix, Beatles, Stones. I adore Jazz and Blues- Billy Holiday, Ella Fitzgerald, Bessie Smith. Folk (Joni Mitchell) and World Music/Opera/Cabaret Artists like My Brightest Diamond Country/swing/bluegrass. I am very into Hot Club of Cowtown (jazz swing). Country- Dolly Parton. My husband got me into Judie Tzuke who is a great songwriter. 80’s stuff like Tears for Fears, Prince, and Level 42. I suppose that is why I am always genre hopping in my own music. How do you get inspiration to write songs? Trials, tribulations, love and passion, family, observation, riffs on the guitar. Where is your dream place to perform (Country)? I would love to do a European tour and do them all. We might have a Danish mini tour next year so fingers crossed. The Promoter has put an application in for funding and he has been successful in the past. Who would you like to perform with, if you got the chance? It would have been Marvyn Gaye if he was still alive, but its Steve Winwood , Al Green or Smokey Robinson if it is male. Females would be: Tata Vega, Lisa Fischer, Merry Clayton , Aretha Franklin, Lissie. Where do you see yourself in 2-5 years? Who knows? I just do music because I love it. I hope people will still come to listen to me. It only takes one lucky break for it all to escalate. That happened to a friend of mine who really deserved it. I wouldn’t even mind if others wanted to record my songs and they made them known. I think the music business is quite ageist and as I started later on in life, no one would want to sign a mum of three and grandmother to one. I have always been realistic about it. I think I have done quite well and my music has been very well received by both reviewers and the public. If you wasn’t doing music what would you be doing? When I am not doing music, I teach Voice/accents to Musical Theatre, Dance and Performance, HNC, Theatre and Performance students at the Arden School of Theatre. I also love doing that as we have so much talent and energy there. Alot of our graduates have already got agents and jobs! If you could go on Tour with any Singer or Band who would it be and why? Lissie I think as she just seems so nice. She does loads for charity and she even sent me a signed CD with a ❤ on it as when I bought one at her gig, it came unsigned by accident. Love her vibe. This entry was posted in Uncategorized and tagged Interview, Risa Hall, Solo Artist. Bookmark the permalink. I Got a Sneak Peak Of The NatterJacks BRAND NEW EP AND ITS AWESOME! The NatterJacks are an Indie/Folk Duo made up of Mark and Freddie from Derbyshire. September 15th will see the duo first release of the latest EP ‘In the Bark’. Track to listen to again and again. ‘Close’ has a slower beat but still has that edge to make you want to have it on repeat. Which makes it a unique song with the backing track and vocals are catchy and a unique edge which their fans love to hear. This is an EP MUST GET ! It will be great for a night in or a afternoon to listen to and not get bored. This entry was posted in Uncategorized and tagged Brand NEW, EP Review, The NatterJacks. Bookmark the permalink. The Bedroom Hour is a 5 piece from West London but decided to move up Manchester to get their music heard more and the move was a great move making their audience bigger here in Manchester too! ‘Hinterland’ is the new 11 Track debut Album by the 5 lads. Starting off with an introduction on the 1st track which is an instrumental ‘Oceans’ that sets a calm and relaxed atmosphere which then that’s gives you an idea of what the rest of the Album will be like. This also goes on to the second track ‘Sea without Water’ which with Stuart’s vocals soften the track as well. Having some tracks that are dark, both tell you they want to forget about the past and move on with the future and their music which once you listen to this album you will be hooked and ready to see what comes next from these lads. Stuart’s powerful vocals and the backing music go together letting the tracks get a softer and more of an edge to each one. You should listen to this throughout the day or at night; it is an album where you can just listen to over and over every day at anytime of the day. 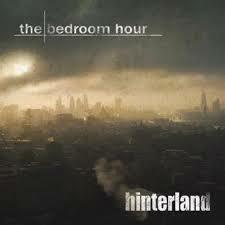 This entry was posted in Uncategorized and tagged Album Review, Band, The Bedrroom Hour. Bookmark the permalink. Jes Stretton is a Manchester singer/songwriter. Releasing a 6 track EP ‘Surrender’. The EP starts with an upbeat track called ‘Surrender’ which then goes in to a slow downbeat track and draws you in giving you a very soulful and RnB vibe to it. The 6th Track ‘Wonderful Place’ is a bonus Live track which shows off Jes’s fantastic vocals. Setting a beat for the whole EP making a smooth but upbeat EP what makes you want to listen to again and again. This is an EP to listen to when you are ready to go out and get in the party mood so be sure to go check this out and share. 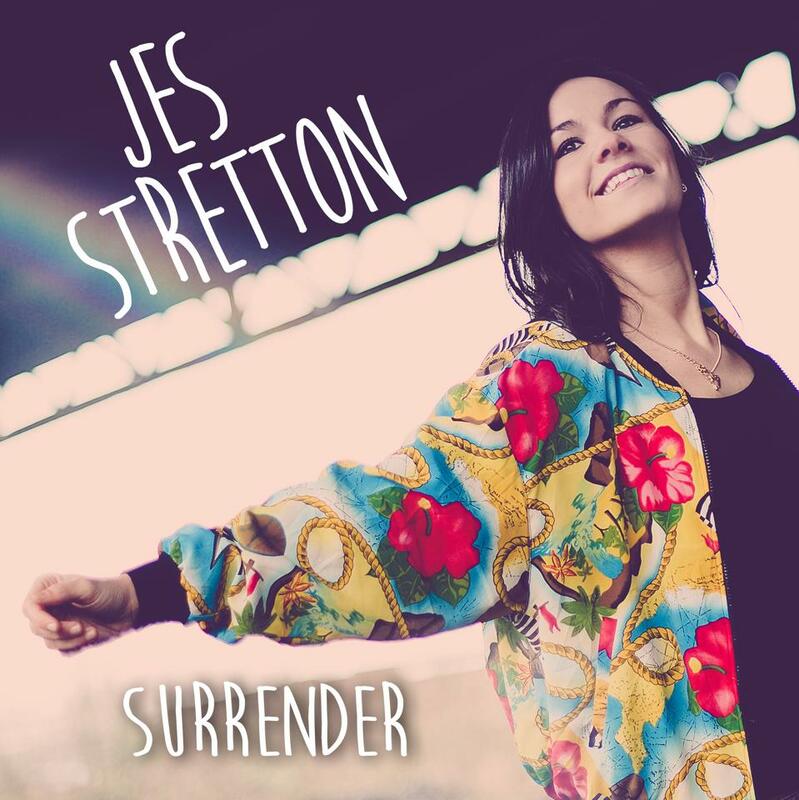 This entry was posted in Uncategorized and tagged EP Review, Jes Stretton. Solo Artist. Bookmark the permalink. Risa Hall Releases New EP ‘ New York Nights’ and I did a Review! Risa Hall is a New York born Singer/Songwriter but now living in Manchester, UK.Releasing the 4 Track EP in July 2014 called ‘New York Nights’. ‘Kids on Victoria Avenue’ an upbeat and bouncy track with the guitars stings which gives it an edge. The vocals add an edge what makes you feel the song and really understand the lyrics throughout the EP. ‘Air of Availability’ a range of instruments and the vocals takes us down a different road and show her vocal talent throughout. ‘New York Nights’ upbeat and bouncy tracks showing her love for her hometown New York and about Life. ‘Ethereal Waters ‘ a more slow beat track with the soft strumming of the guitar and the flute gives the track a more folk side of Risa’s many genres. The Whole EP has been well produced, sung and played and made it her very own fantastically. This EP is a well crafted what makes you want to listen to it over and over with all the different genres gives the whole EP a unique edge it and shows her passion and determination for her music. This is an EP to listen to in your garden on a sunny day and having a cold drink. 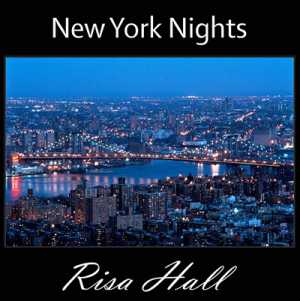 This entry was posted in Uncategorized and tagged EP Review, New York Nights, Risa Hall. Bookmark the permalink. The Moods, A five piece from Manchester. The Moods have given me the chance to review their NEW album and I listened to it and I am impressed. The 10 track Album has a range of genres which usually is a bad call but The Moods have out done this and all the tracks are fantastic and makes want to listen to it over and over. This is a band made up of 5 vocally talented lads and lyrically talented. Starting with a ‘ I am A mood ‘ which is voices speaking and makes you wonder how the rest of the Album is going to sound, then going straight in to track number which is a great beat throughout. Then when the vocals come out on track strong and natural sound which makes you want to listen. Having fantastic beats, vocals and everything else, this is an album to buy and share with your friends. This entry was posted in Uncategorized and tagged Album Review, manchester band, The Moods. Bookmark the permalink.